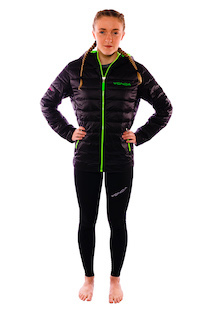 Our YONDA Ghost Wetsuit was developed, tested and raced directly with current elite triathletes to test and scrutinise its performance and abilities. 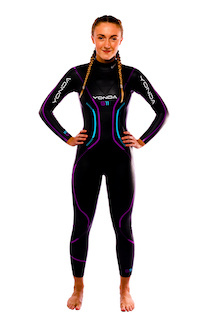 We believe the YONDA Ghost wetsuit surpasses many of the other wetsuits which are available on the market, and even those at a higher price point due to its innovative high-performance design. Buoyancy: The most flexible Yamamoto #39 SCS Skin AERODOME is used on front chest and thigh to centralise the core and raising the hips. This allows for a perfect natural body roll when extending the arms into the catch and pull. 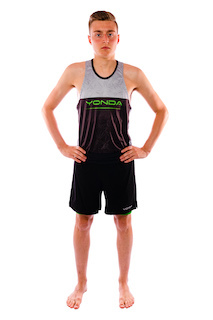 Comfort: We use Yamamoto #39 SCS Skin AERODOME for the chest and torso panels allowing flexibility to breathe easily by accentuating the lung area. 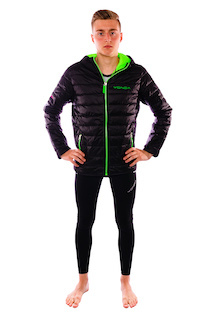 Technique: Yamamoto #40 SCS Skin AQUAPULL is used in the sleeve, wrist, and underarm areas – this is a super thin permeable fabric that is married to FASTDRY waterproof Lycra in the forearm. This creates a great feel in the water and makes the catch point more sensitive and allows for a stronger pull. 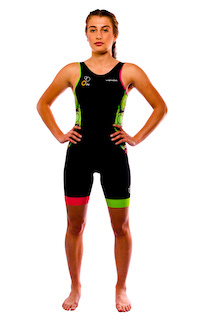 Speed: SCS (Super Composite Skin) coating on the outside reduces friction and increases your speed through the water. 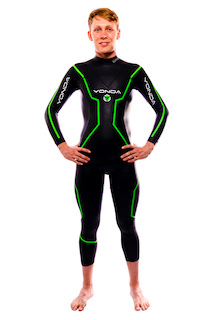 Speed in Transition: Tested in the 2014 & 2015 World Series and British Super Series, the YONDA wetsuit proved to be very fast to take off in T1 where seconds make all the difference. 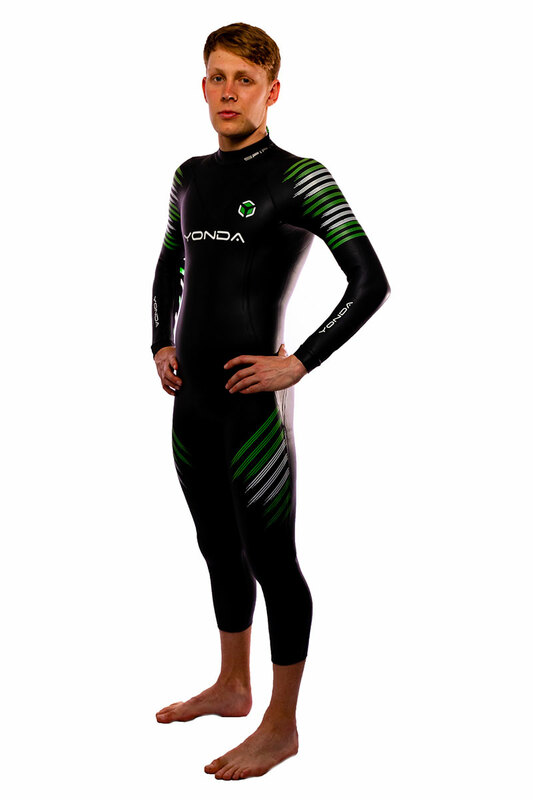 The design of the YONDA Ghost wetsuit coupled with Yamamoto #39 SCS Skin in the calf area allows for the suit to be kicked off fast! 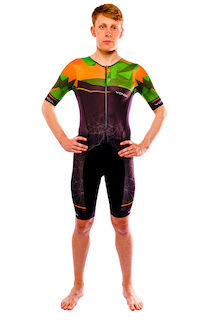 Competition is all about marginal gains and we believe that your suit should never slow you down in a triathlon. 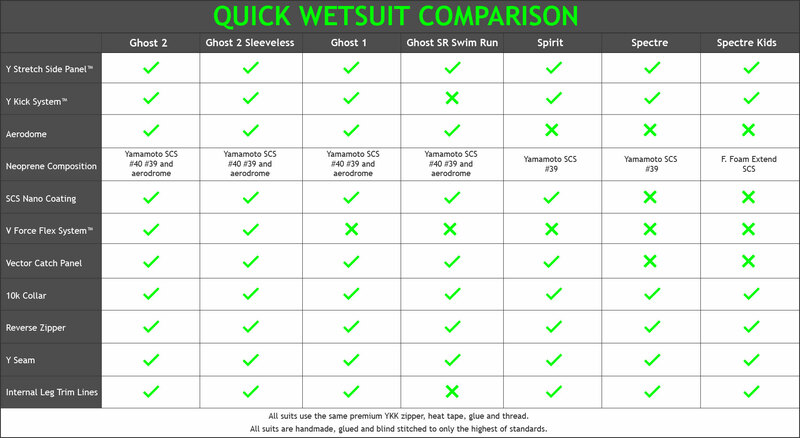 To Buy or see the full specification of the YONDA Ghost wetsuit, click here!